Play’n Go has started a special promotion to celebrate the release of their new slot game Spin Party. This promotion will be offered by several different NetEnt casinos and I will be listing three of them here. This promotion runs until August 30th, so enough time left. All you need to do to qualify at any of these casinos is play Spin Party slot game. For every €20,- you wager on this slot game, you will receive 1 ticket into the big raffle at the end where you can win a cruise for two to the Caribbean. But you are also able to enter the weekly draws. For every €50,- you wager during the week you get 1 ticket into the draw. Here each week a player will receive an Apple iPad Mini 2. And there is even more. A race for the winning spins. 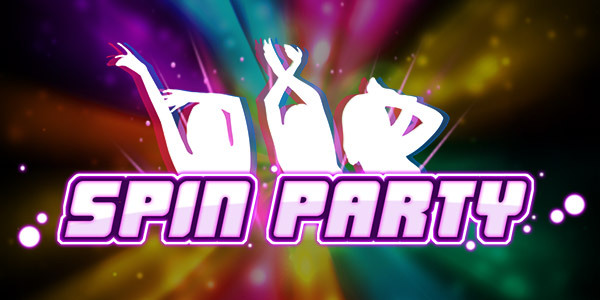 Spin Party slot game uses a special feature where you get guaranteed win spins. And the top three players that receive the most of these guaranteed win spins during the promotional period will also win cool gadgets. A nice way to start trying out this new slot game and maybe even win something extra. Spin Party might look like a simple game, but especially the free re-spins and guaranteed win spins are very nice. All three NetEnt casinos also offer games from other providers and have good welcome bonuses for new players.